Zooomr has a nice geotagging feature, but Flickr alas doesn’t (at least an official one, yet). 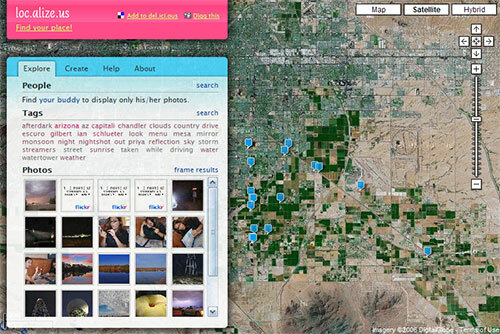 But that hasn’t stopped people from geotagging their Flickr photos. On the heals of his Localize Bookmark for Flickr, Aemkei has released loc.alize.us using the Google Map and Flickr APIs. 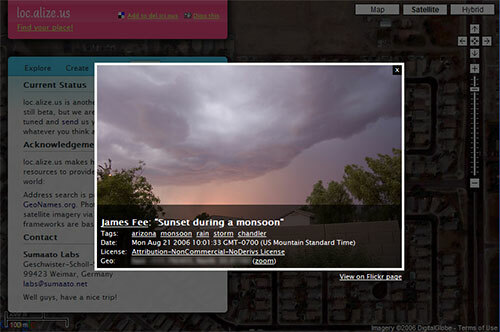 If you use his Localize Bookmark tool, your photos will appear almost instantly in the viewer. I think this is the best geotag browser so far.